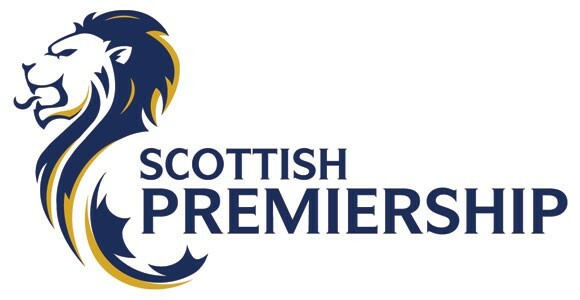 A spirited Inverness comeback attempt wasn’t enough as Aberdeen secured an important 3-4 win that lifted them up to 3rd, into the Champions League places and above opponents Aberdeen. A brace from ex-Inverness player Barry Robson, one from Peter Pawlett and another from Niall McGinn earned three points. Aberdeen’s penalty came when Barry Robson’s left sided cross was hand-balled my Ross Draper, easy decision for the referee. Robson stepped up himself and blasted it down the Goalkeeper’s right hand side and into the corner. Barry Robson was getting a bad reception all game due to his days wearing the Blue of Inverness but he wasn’t deterred by the boo boys and he doubled the Dons’ advantage 10 minutes after he broke the deadlock when he headed home Peter Pawlett’s in-swinging cross. Aberdeen were in cruise control 10 minutes before half time when Peter Pawlett’s surging run down the centre opened up a 3 on 2 situation. Pawlett laid it to his right to Scott Vernon who played it back to Pawlett first time to make it 0-3 with an accurate finish. The Dons wanted Inverness to have a miserable day and just before half time Niall McGinn broke on the counter attack, knocked it away from a defender and drove it home for 0-4 from the edge of the box. It means McGinn has scored against every team in this year’s Scottish Premiership. Inverness’ misery was completed when Captain Ritchie Foran went off due to injury. Inverness had the first major chance of the game though when ex-Rangers man Billy McKay tried to rummage his way past Russell Anderson, he failed, but Nick Ross was there to collect the ball and from the outside of the area hit a low shot that beat the goalkeeper, but also beat the post, clipping it on the way out for a Goal-kick. Caley Thistle almost took the lead in fortunate circumstances after 11 minutes when a Joe Shaugnessy back pass was nervously cleared by Jamie Langfield and from 30 yards out Ritchie Foran attempted a long range curler to catch the Aberdeen stopper off his line. The shot lacked sufficient power however and Langfield smothered. Inverness looked down and out at half time but they came out all guns blazing in the second half, a Corner from Carl Tremarco was bundled in by McKay. 1-4. Inverness had slight hope. Hope became belief 10 minutes later when McKay got his second of the match for 2-4, he rounded Langfield and planted a right footed shot from the right side of the six yard box to the bottom right corner. The Caley crowd really got pumped up in the 88th minute when Grahame Shinnie headed into the back of the net for 3-4. A cross from the right found Shinnie and his goal set up a tense finish. 5 minutes of added on time gave Inverness a further lift. The comeback never came however as Inverness couldn’t find that final goal to earn a famous point and Aberdeen held on for a valuable 3-4 away win.